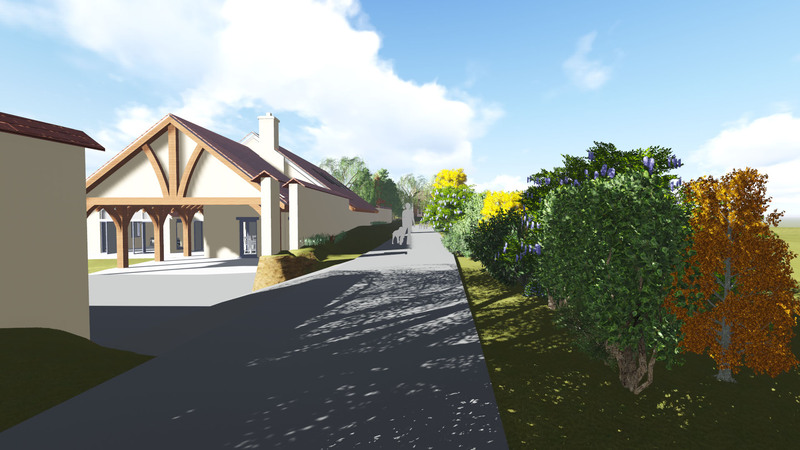 Planning has been submitted for a replacement dwelling in the heart of Haddenham conservation area. Sympathetically designed to nestle behind an existing Wychert wall, tucked down a quiet lane. This 3 bedroom home utilises the site level changes to minimise its impact on neighbouring properties. The ‘L-shaped’ plan orienting itself into the site. Making the most of the southerly views down the garden.